Intel must be feeling the heat from Qualcomm Snapdragon-powered laptops, because the company is now developing its first hybrid processor or system-on-a-chip (SOC). Cue Lakefield, an Intel processor unlike anything that you’ve ever seen. It comes packed with more than one type of CPU core to create a more stable and better-rounded chip. 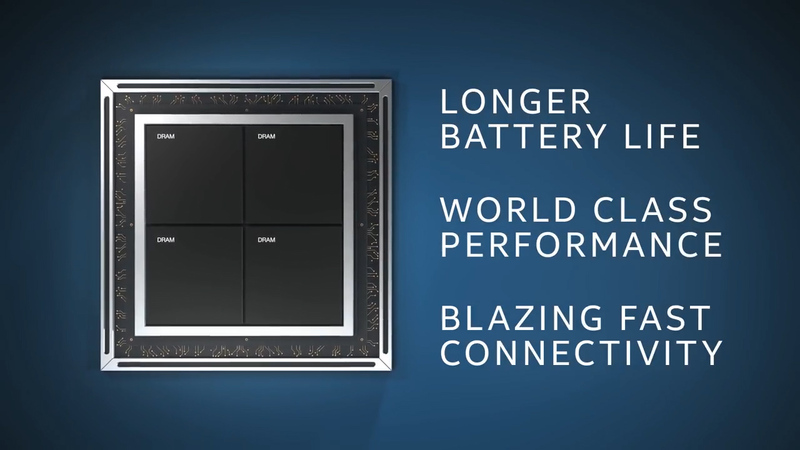 Plus, these hybrid SOCs can even come with their own integrated memory, I/O interface, wireless connectivity, and, of course, integrated GPUs. 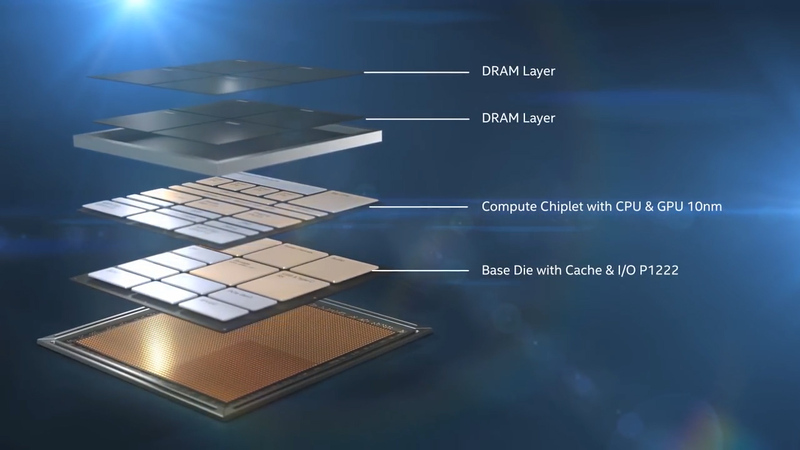 Because it has so many different components built into the chip, Lakefield operates more like the ARM processors found in the best smartphones, than the traditional CPUs that have been powering laptops and desktop computers practically since they were invented.Lakefield could just change the computer game for the first time in years. It’s not surprising that Intel isn’t the only one chasing the SOC dream, as AMD Ryzen 3rd Generation chips are also architecturally designed to be hybrid processors. Before this new wave of SOCs hits us, here’s everything you need to know about Intel Lakefield. So far, Intel has only promised that Lakefield will be in production this year. However, Intel has also stated that it’s committed to having 10nm devices on shelves in time for the 2019 holiday shopping season in the US, so we can reasonably expect to see Lakefield-powered products become available sometime between October and December. Pricing on Lakefield processors is going to be really hard to pin down, because as we’ve mentioned these will be Intel’s first ever hybrid processors. Without any pre-existing chips to use as a point of reference, we don’t really have much to base our speculation on. Additionally, it seems like Lakefield will primarily be integrated into laptops and other types of mobile devices, rather than appearing on store shelves as boxed processors. With this in mind, these hybrid CPUs will likely only be available to commercial partners such as system integrators and original device manufacturers – so the chances of you being able to buy standalone Lakefield CPUs are slim. Before we get into the nitty-gritty of the makeup of an Intel Lakefield processor, it’s worth discussing the guiding principle or technological revolution behind the company’s first hybrid x86 CPU: Foveros. To start this journey, we’ll first take a look back at where Intel has been. For the most part, Intel’s processors up to now have utilized either monolithic or 2D integration packaging – that is to say, that’s how the chips are built. The former process has been used for the bulk of Intel’s processors, in which the CPU core, integrated memory, I/O and graphics are all integrated into a single die or unit. Intel recently introduced 2D integration with its Kaby Lake G processors, which placed Intel CPU cores with discrete-class AMD graphics next to each other. Although the two separate components are ultimately built into a single package, they’re connected through the use of Embedded Multi-die Interconnect Bridge, which enables high-speed communication. Foveros is essentially an evolution of this 2D integration, in which other components can be stacked on top of each other in a form of logic-on-logic integration. 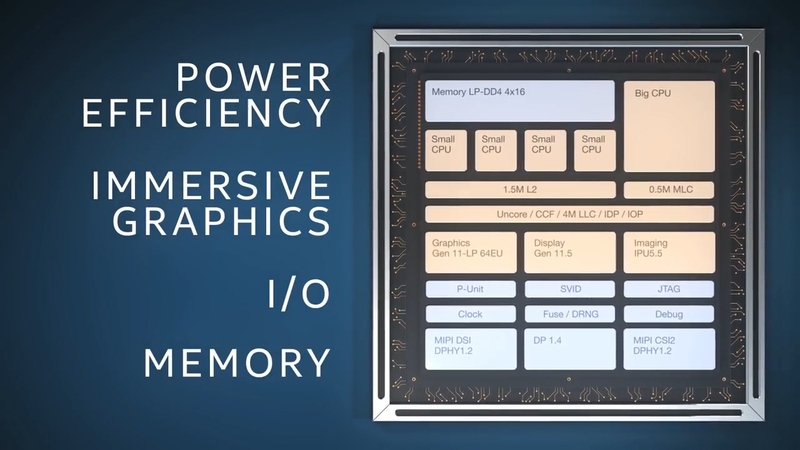 The influence Foveros has had on the design on Intel’s Lakefield processor can be easily seen thanks to a recently released video that dissects the hybrid processor. We can clearly see the 12mm square package is stacked like a sandwich, with integrated memory sitting on top of the chip’s main components. The CPU itself includes a mix of different cores, including one big 10nm Sunny Cove core for performance and four, smaller 10nm Atom cores for low-energy tasks. This mix of differently performing CPU cores will supposedly allow small-form-factor devices to deliver both performance and power efficiency at the same time. What&apos;s more, this chip comes with Intel’s Gen11 integrated graphics, as well as interfaces for cameras and hardwired connections, or I/O – not to mention the integrated memory sitting on top of all these components. Despite their stacked nature, Intel Lakefield processors will still fit into the smallest of devices. At its CES 2019 keynote, Intel demonstrated how its hybrid processor can be fitted onto a motherboard no larger than a Roku Streaming Stick. Intel has said that Lakefield can scale from low-power systems to full PC performance machines. 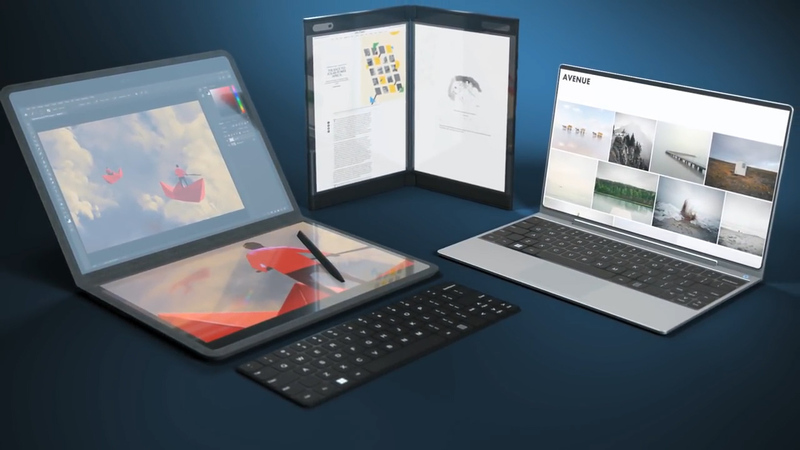 This wide range of devices includes traditional notebooks, 2-in-1 (convertible or detachable) laptops, and even dual-screen laptops. Devices similar to the Intel Tiger Rapids and Asus Project Precog could get this new hybrid processor. That’s everything we know about Intel Lakefield so far, but we’re sure to learn more about Intel’s innovative hybrid processor soon. Stay tuned to this page, as we’ll be bringing you the latest developments as we learn about them.